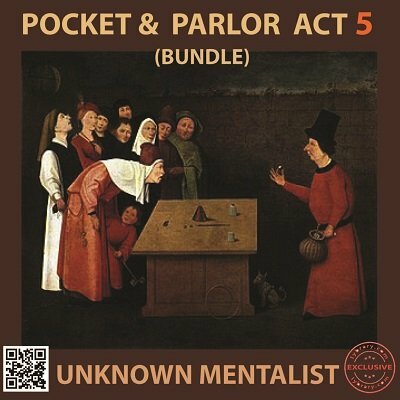 Pocket and Parlor Act is a convenient bundle of the following products at a combo price. These products can always be in your pocket or wallet and can be used for doing a mini act of 7 to 10 minutes in either a one on one situation or close up situation or a parlor act for a small group of people or even for street magic. The effects in this combo have varied themes and can form a colorful little act of great impact when performed together. If you already have these individual products, well and good. If not you can pick up this bundle.